Ceramic-Lined Pipe and Fittings « Ceresist, Inc. 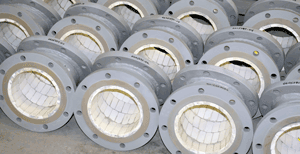 The use of Ceresist ceramic-lined pipe and fittings is ideal in services that are prone to erosive wear, and where standard pipe and fittings would fail within 24 months or less. Ceresist ceramic-lined pipe and fittings are designed to outlast linings such as glass, rubber, basalt, hard-facings, and coatings that are commonly used to extend the life of piping systems. All pipe and fittings feature extremely wear resistant ceramics that are also exceptionally corrosion-resistant. CER-500 is formed by slip-casting which allows us to form a monolithic ceramic linings without any seams. The flow-path is smooth without any abrupt changes in direction (as is typical with mitered bends), resulting in a less turbulent flow and increased wear resistance. CER-500 is our standard lining material for fittings. It consists of sintered silicon carbide particles fired in a silicon metal matrix and is thirty times more wear-resistant than carbon or stainless steel. CER-500 exhibits superior chemical resistance and possesses excellent mechanical properties. Our alumina ceramic grade CER-1200 is 42% harder than chrome carbide hard-facing, three times harder than glass, and nine times harder than carbon or stainless steel. Alumina also exhibits an extremely high level of corrosion resistance — even at high temperatures — and is the ideal material for high wear applications where corrosive and abrasive fluids are present. It is a very cost-effective material, and its use is recommended in services that are highly aggressive. 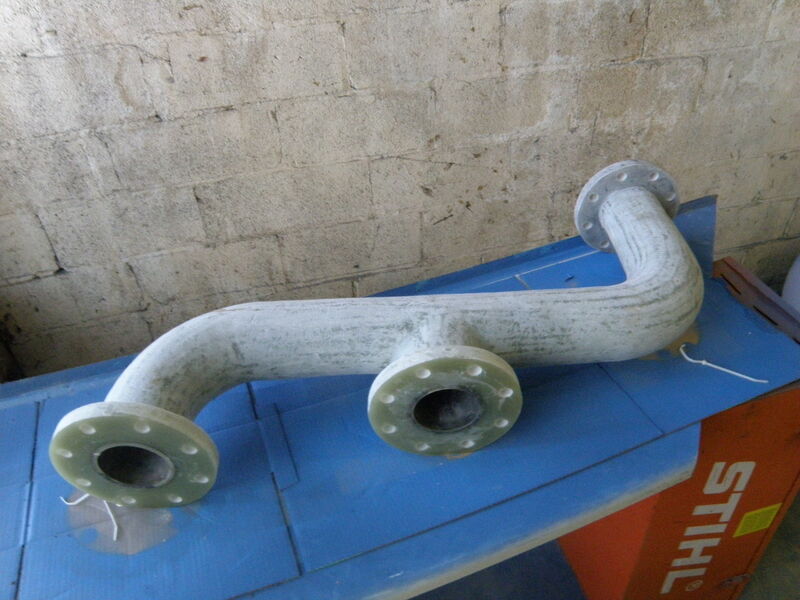 Alumina-lined pipe and fittings are offered in tiled linings as well as internally-mitered, CNC ground tube segments. Our patent-pending, light weight ceramic-lined FRP pipe and fittings combine the corrosion-resistance of FRP and the wear-resistance engineered ceramics. All ceramic liners are fabricated as a monolithic unit with absolutely no seams, with the fiberglass laid-up around the exterior of the ceramic. Pressure Rating: ANSI 150 lb. to ANSI 2,500 lb. Ceresist is a premier manufacturer of wear resistant fluid handling components, specializing in the most severe service applications by using corrosion and abrasion resistant ceramic materials. With sound design and expert material selection, we assure our customers the longest trouble-free and maintenance-free service life in the industry. Our innovative designs allow us to guarantee increased uptime, less failures and huge cost savings.